We all know how it is you are on vacation and you have to check your email and log into your bank or online portfolio. Maybe you have your own laptop and you want to get your email at a Wi-Fi hot spot. These scenarios can be innocent but they can also be your worst nightmare! Public computers and Wi-Fi hot spots can be set up to log everything you do through a rouge connection. So to keep you safe in the land of public computers and free Wi-Fi I have compiled some tips for you. Read through them and if you have something to add please feel free to do so in the comments. Whatever you do absolutely NEVER EVER save your log-on information. That means avoid clicking the box that says Save My Password or Remember Me. This will allow the next user of this machine to possibly log on to this web site as you. And we do not want that! Find and click the “log out” button the website before you leave. Don’t type personal information on the computer. Avoid credit card account numbers, banking passwords and things that can be used to give you a bad case of identity theft. Save these transactions for your home or from your handheld on a respectable carriers network. Even encryption won’t help if the machine has a keylogger on it. Erase your web browsing history and restart the computer (if you can’t log-off). Watch out for people staring at you or spying on you. This may be common sense but it should definitely be on the list. Some other tips were also mentioned in our earlier post covering safety on public computers Public Computers Made Safe - Security Tools and Tips Public Computers Made Safe - Security Tools and Tips Read More . 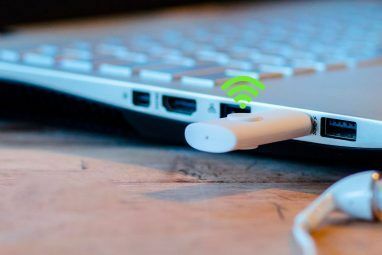 You might already know how to secure your wireless connection How To Secure Your Wireless Network Connection How To Secure Your Wireless Network Connection Read More but what about public Wi-Fi hostpots. Use a firewall – There are tons of free firewalls Which Free Firewall For Windows Is Best For You? Which Free Firewall For Windows Is Best For You? We place emphasis on antivirus and malware removal, but don't ignore firewalls. 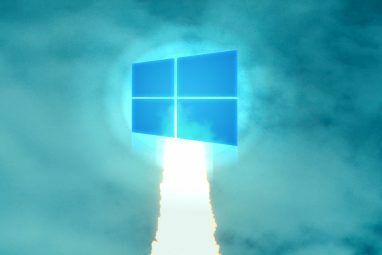 Let's take a look at the best free Windows firewalls, comparing ease of setup, ease of use, and availability of features. Read More out there like Zone Alarm. But, your Windows XP Post SP2, Vista or Windows 7 machine has one built in. Turn it on! I like configuring ZoneAlarm to let me know what is going on and trying to access my machine and or files. Turn off your Wi-Fi when you’re not using it. Do not log into a network you do not know and just leave your machine on. If you are not using it turn it off. This is like locking up your machine when you walk away from it. Don’t make yourself a target. 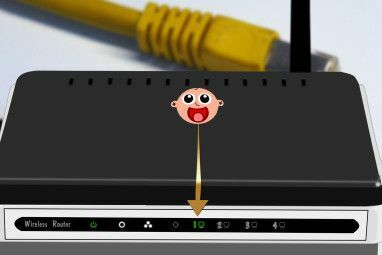 Most newer machines have a switch on them like the one depicted below or you can right click on the Wi-Fi icon on your task bar and choose disable. Just like we said before don’t type in information you don’t want other people to see. If you keep the data in your head – then no one can get to it short of physically harming you! If you HAVE TO use a credit card or enter passwords on a public Wi-Fi connection – make sure the web site is using SSL. It will have a padlock icon on your browsers right hand corner as well as a HTTPS:// in the address. Disable Wi-Fi Ad-hoc Mode – Disabling this in your Wi-Fi settings will prevent your machine from connecting to someone’s computer that you don’t know. Most normal Wi-Fi connections use Infrastructure mode. Where as Ad-hoc meshes a group of Wi-Fi users into a pseudo network. I think we all should be aware of these types of data vulnerabilities by now, yet I still see people becoming victims of lost data and just plain carelessness. I cannot tell you how many times I have logged onto my schoolâ€™s computers and seen people who have saved their Gmail or Facebook log in information. It seems like such an obvious thing to do, but a lot of users are just oblivious to it. The same goes for clearing history. I had closed a tab by accident while surfing and when I hit ctrl-h to bring it back, I was greeted by a laundry list of personal pictures someone had hosted on public sites. Some people just donâ€™t take heed of their privacy and security. I cannot tell you how many times I have logged onto my school's computers and seen people who have saved their Gmail or Facebook log in information. It seems like such an obvious thing to do, but a lot of users are just oblivious to it. The same goes for clearing history. I had closed a tab by accident while surfing and when I hit ctrl-h to bring it back, I was greeted by a laundry list of personal pictures someone had hosted on public sites. Some people just don't take heed of their privacy and security. Don't forget to use a VPN. And configure your firewall's outbound settings so you know random things aren't sending data without your knowledge. There's a common typo in the second paragraph. rouge: the red makeup you might put on your cheek.